Don’t let the wee froshies have all the Thursday fun. 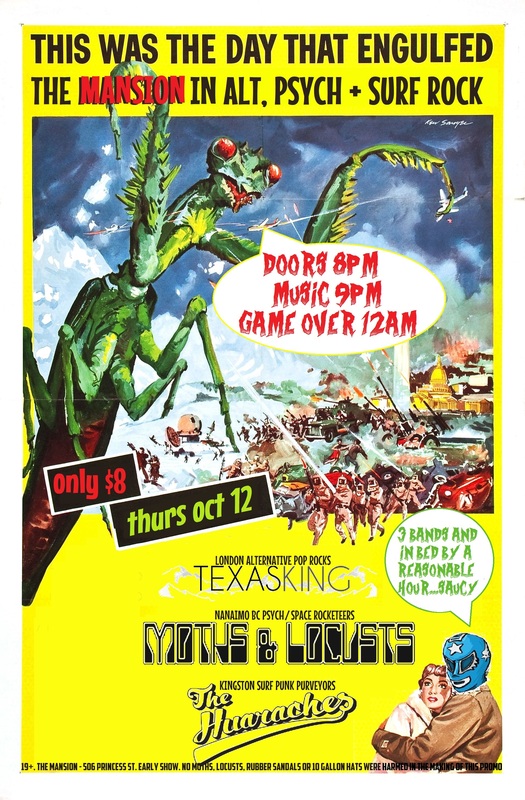 Join The Huaraches ,Moths & Locusts and Texas King for an early evening of alternative, surf, pyschedilc, punk, and good ol’ fashioned rock tunage. 3 bands, $8, and home at an hour that qualifies as responsibly adult. Good life choice.